Telesur: Marking 59 years since the triumph of the revolution, do you think there is something particular this year about the celebration given the looming elections and Raul Castro’s impending retirement? Arnold August: Basing oneself on Cuban press publications in the last few days of December leading up to the January 1 celebration, and talking with Cuban colleagues last night and today, there is no mention at all regarding the April 19th 2018 election of the new president.What are then the themes to mark the passing of 2017 to 2018? Cubans, like everywhere in the world, first and foremost highlight events of the outgoing year. For example, the official Granma daily reviewed major events or accomplishments of 2017. Domestically it was the successes in the health sector. Internationally, among others,it was the ongoing efforts in favour of Latin American/Caribbean integration and cooperation such as ALBA, the Venezuelan resistance and the Trump move to recognize Jerusalem. While the youth communist daily Juventud Rebelde hailed the 70,000 youth participating in voluntary work, and the international Youth and Student Festival in Sochi, it also did deal with 2018. It pledged to focus on the 90th anniversary of Che’s birthday, June 14. The revolutionary youth, through its prestigious regular contributor Graziella Pologotti, wrote that one of the peaks for 2018 will be the 150th anniversary of the October 10 1868 revolt against Spain as the precursor of the 1959 triumph. This piece was reprinted on Cuba Debate. The workers’ weekly Trabajadores featured a special front page contribution by the president of the Instituto de Historia de Cuba, Rene González Barrientos. He painted a picture of all the 1868 focal points while suggesting that the 2018 climax will be the commemoration of the 1868 initiation of the Manuel de Céspedes-led rebellion for independence and the eventual end of slavery. The historian provided readers many of the memorable features of the War of Independence. In my telephone discussions with Cuban friends on the 31st of December and January 1st regarding 2018, they manifested a desire that the revolutionary tradition continues. Thus, looking at 2018 from the perspective of the Cuban Revolution, while the April 19 new legislature that will among other important responsibilities also elect the new president will constitute but one more event in its long history going back to 1868 and since then to 1959. By asserting this, does mean that I am underestimating the historical significance of April 19, 2018? No. However, this stance allows us to prepare for a new ideological and political offensive against the Cuba Revolution. What is the content of this? We saw a preview of this in December last year. 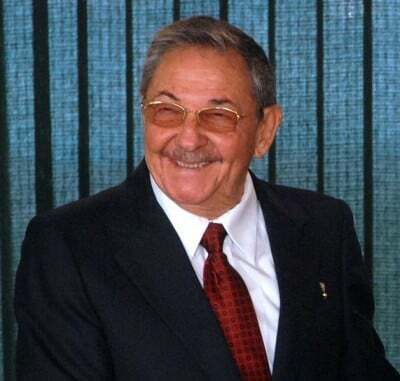 Raúl Castro, in the habitual closing session speech to the last session of the current legislature, notified in almost casual ways that the convocation of the new legislature and thus the election of the next president has been postponed to April 19 when Raúl will not be seeking a new mandate. However, he dealt with in some detail (the length depending on the theme), with many topics that normally whet the appetite of the international mainstream media: Irma recovery successes and challenges, municipal elections voter turnout results, foreign debt payments, dual currency, Cuba-US relations, “sonic” attacks, the non state or private sector,the new state sector regulations, the U.S. blockade, Cuba-U.S. cooperation and exchange, full and elaborated support for the Bolivarian Revolution, in favour of Christina and Lula in Argentina and Brazil respectively, CELAC, climate change and the U.S. on the Paris agreement, support for Palestine and opposition to Washington’s recognition of Jerusalem. Nevertheless, Raúl barely stepped down from the podium when the international conglomerate media “reported”virtually in chorus only one theme: April 19.What was the content of this topic that filled the vacuum to replace all or some of the controversial topics elucidated by Raúl that previously fuelled the international rumour and disinformation mill? There were various features such as Raúl trying “to hang on to power etc.” However, the common denominator more often than not was the following: the “Castro era” will come to an end on April 19th. Thus, the new president will have to confront “growing demands for democratization and opening”and deal with the increased use of social media in Cuba. 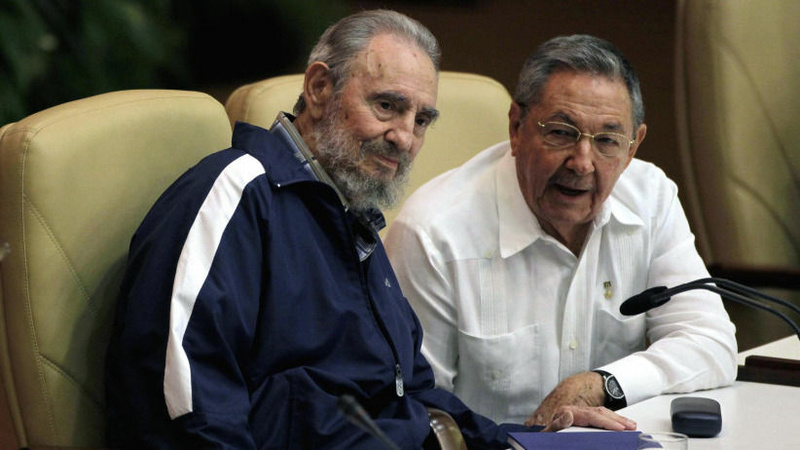 The narrative often spars against invisible “hardliners” in Cuba. However, who are the hardliners? It seems to be a red herring to serve as a pretext for creating divisions and pressuring Cuba to “change” according to U.S. desires. Thus, my New Year’s wish would be for them to name who these “hardliners” may be. It does not seem that this wish would ever be fulfilled as the list would be far to long to assemble. It may seem to some that the “democratization” demand consists of innocent comments. However, this political orientation is similar to what the media immediately concocted after the passing of Fidel Castro on November 25, 2016: Castro the “dictator” is gone and thus there is no longer a “pretext” for maintaining a so-called closed socialist economy, one-party system and full independence in the face of U.S. demands for flexibility in Cuba-U.S. relations. Of course, nothing in the future can to compare to form of the November/December 2016 anti-Fidel media blitzkrieg. Nevertheless, the content is similar and advances the same U.S. imperialist goal of chaos and regime change. However, two years ago these forces inside and outside of Cuba completely underestimated the political consciousness of the Cuban leadership and the vast majority of people at the grass roots. The Cuban Revolution was and is being strengthened. Without “firing a shot”, it won that battle. What will happen in the first few months of this year as the Cuban Revolution heads toward April? It is after all unprecedented. For the first time since the Cuban Revolution a non-Castro will be the most visible political personality in the formal Cuban political system. This is what, as you ask, is particular this year. However, it is not as earth-shaking as the international monopoly media would have us believe. The April 2018 National Assembly of People’s Power session is not, as we have seen above, on the agenda of highlighted events to transpire in 2018. On the contrary, 2018 is the year whose peak will be attained on October 10 indicating the Cuban revolution is 150 years-old. It is able to deal with the inevitable generational change as just one more of many challenges it has faced over decades and decades. In fact, its detractors are immune to the fact that this has been going on since Fidel Castro ceded his formal position over a decade ago to his brother who in turn has been working with both the other “históricos” and the next generation. To that effect, this transformation is being exhibited not only in the political system. For example in December 2017 for the first time a young woman (34 years-old at the time), Yailan Orta was nominated as the editor of Granma. This is unique. As the former editor of Juventud Rebelde she also emerged in 2016 and 2017 as a leader of the grassroots youth resistance to the CIA-fomented World Learning Program and the blockade. In addition the new Granma director Yailanis very active in social media, a characteristic of the press leadership unheard of previously for generational and technical reasons. She thus maintains direct contact with the forty percentage or so (and growing) of the population that has access to internet, many of course who are youth. The attempt by the international media to create divisions and chaos in Cuba in the wake of April 19 will be solidly defeated in the short and long term. The opponents of the Cuban Revolution, both open and hidden, are no match for the new generations represented by the many young and not so young revolutionary journalists, all other sectors of society and the next president. Telesur: What do you expect in Cuba-U.S. relations for 2018? AA: I will go out on the limb and predict that Trump will somewhat soften his stand on Cuba. Dealing with unpredictable Trump, visitors to TeleSur can venture to reach their own conclusion. “Hopefully everything will normalize with Cuba.” Let that sink in. Does he mean it? Even if Trump made this remark next to the Marine Air Force One Helicopter, his statement did not drop from the sky. Since his election in November 2016 to date, the pro-engagement forces in the U.S. have doubled-down on its demands to further open trade and travel to Cuba. This wave of opposition to restrictions that runs the gamut from sectorial demands such as the export of agricultural products from Trump-supporting Midwest states and Texas, to travel industry, to agricultural-machinery manufacturing,to port cities in Florida and Texas close to the Havana harbour and Mariel container port, to across the board bipartisan Republican and Democratic parties at the national, state and city levels, Trump may be foolish, but not to the extent of seeing the writing on the wall for 2020. This why, as 2017 was the year of Trump imposing restriction on Cuba while maintaining diplomatic relations, 2018 may be the year that he backtracks to a certain extent. From the Cuban side, 2017 was the year that the Cuban Revolution valiantly stood up to Trump as the U.S. imperialist bully while keeping its cool on maintaining the door open to the negotiating table. Cuba, as it has done since 1959, did not give in one iota on the principles of defending its sovereignty and independence. It was also the year that, despite the rhetoric, a series of successful bilateral meetings took place in Havana and Washington dealing with interests of common concern. In 2018, the new generations further coming into power may be even more, not less, prone to defend Cuba’s sovereignty, dignity and further develop the Cuban Revolution against all attempts by the U.S. and its allies (open and disguised) to subvert it.